Disney Little Girls 2-Piece Sets As Low As $8.33 At Macy’s! Here is another great last act deal from Macy’s! Shop a variety of Disney Little Girls 2-piece Sets for as low as $8.33! 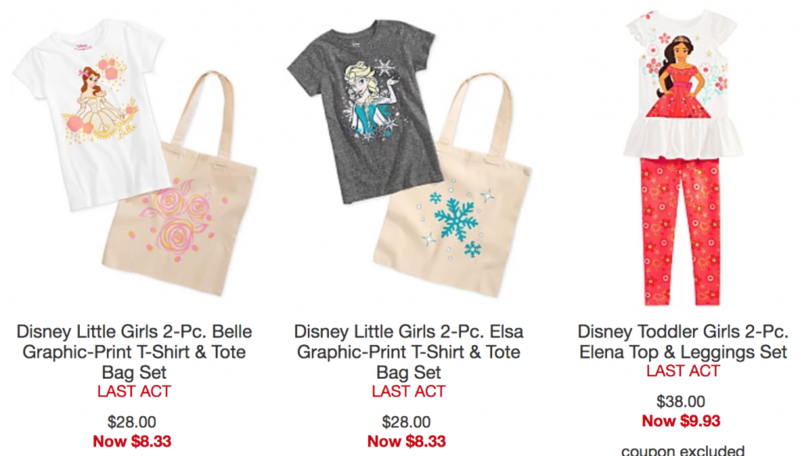 (Regularly $28.00) Grab a princess tee with a fun tote or shop shirt’s and tops featuring characters like Eleana of Avalor, Moana, Elsa, and Minnie Mouse. Be sure to select free in-store pickup to avoid shipping fees. Otherwise orders of $75 or more will ship free.